'There is a hero in every villain and there is a villain in every hero' followed with a theme song with a background score chanting Villain at regular intervals of the theme songs. The portions of the four songs are also included in the audio teaser. 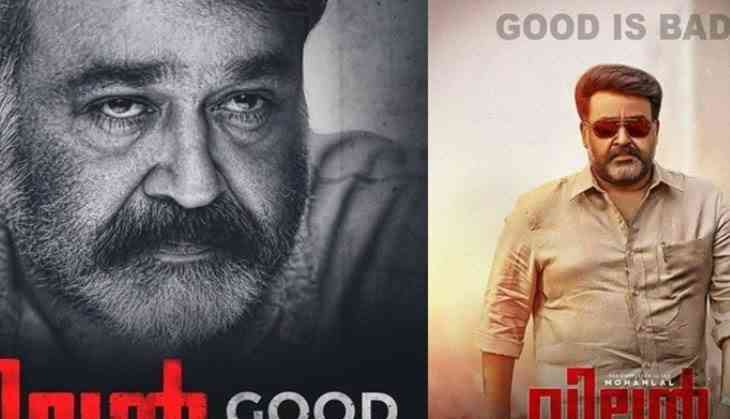 The music and the BG score of Villain has been composed by 4 Music, a music band of four composers Jim, Biby, Eldhose, and Justine of the 2016 Mohanlal's hit Oppam fame. The audio rights of the film were bagged by Junglee Music. Villain stars Mohanlal in the titular role of a retired cop, Mathew Manjooran and Manju Warrier in the female lead. The film also stars marks the Malayalam debut of Tamil actors Vishal, Srikanth, Hansika Motwani and Telugu actress Raashi Khanna of Madras Cafe fame. Villain is also the maiden Malayalam production venture of Rockline Venkatesh, the maker of the 2015 Salman Khan hit Bajrangi Bhaijaan.